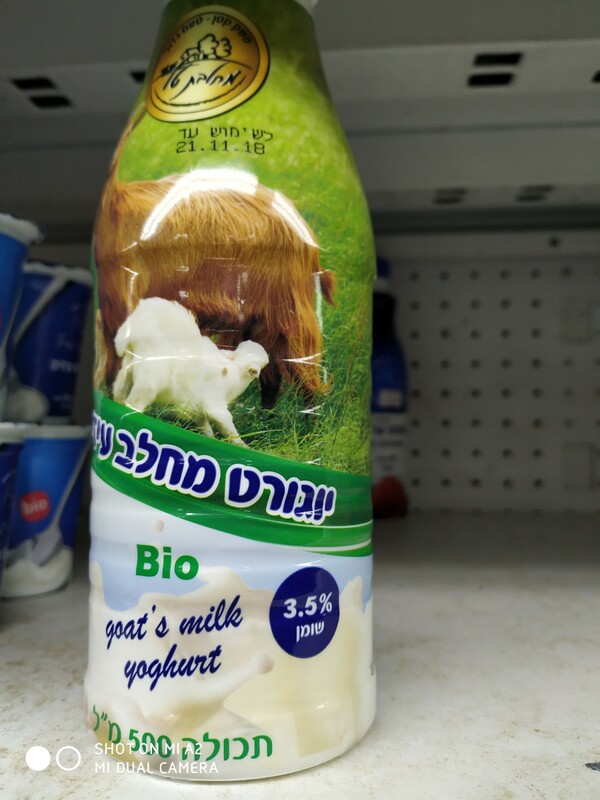 I prefer goats yogurt to cows. I find that it has fewer ingredients and tastes very good. All I want in yogurt is the milk and the necessary bacteria. If the milk has enough fat, and the yogurt manufacturer has the right bacteria and patience, you'll get wonderful creamy yogurt. Unfortunately, I've learned the hard way that not all "natural" yogurt is truly natural. Read the ingredients. The yogurt pictured here not only has tapioca to thicken it, but it has E1442, too. Both are used to make the yogurt thicker and more pudding-like. The first goats yogurt I began eating didn't have any thickening agents, and I loved them. Then I was given a yogurt that looked almost yellow instead of white. It had a different taste and texture. 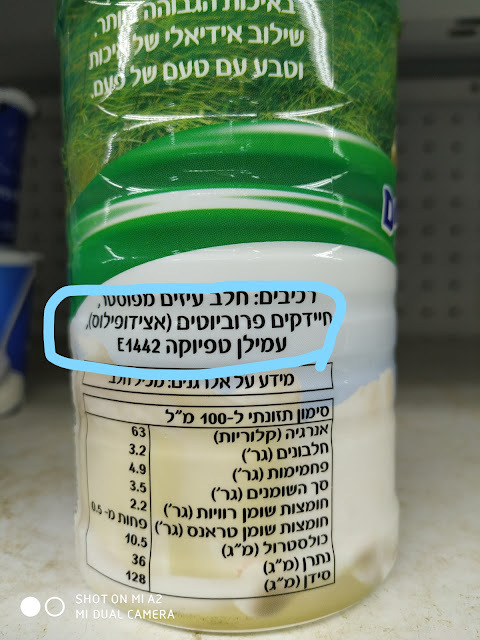 So I checked the ingredients. Tapioca and other starches. Now I don't buy a yogurt without carefully reading everything written on the label. I have to know all of the ingredients. Just because a food is labeled "natural," doesn't mean that it really is. Check the ingredients before buying. Also compare the ingredients of similar foods. Be an informed consumer. I have a yoghurt maker. So I know exactly what goes in my yoghurt. Not expensive and works every time. Sounds good. What type of milk? I have a neighbor who makes it in a plastic milk carton.